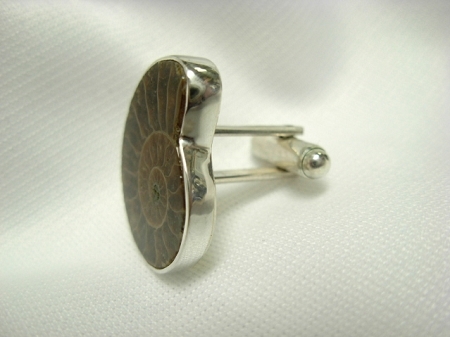 Modernist Jewelry - This is a handsome pair of Ammonite fossil sterling silver cuff links. Naturally beautiful. 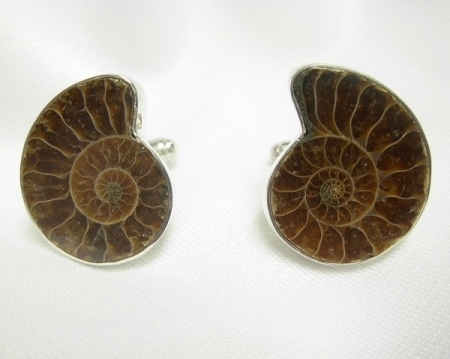 These ammonoid cufflinks are any man's idea of class. The fossil is completely bezeled in sterling silver. Limited availability. Signed and created by Aaron Rubinstein and Modern Art Jewelry.